The best night of comedy on the Fringe, with all proceeds going to Waverley Care: a charity the Pleasance has supported for the last 28 years, providing care and support to people living with HIV and Hepatitis C throughout Scotland. 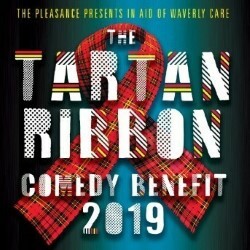 The Tartan Ribbon has become a much-loved staple of the Fringe each year, with previous line-ups including Michael McIntyre, Russell Howard, Katherine Ryan, Tim Vine, Jason Byrne and loads more big names. It's guaranteed to sell out, so book your tickets early!